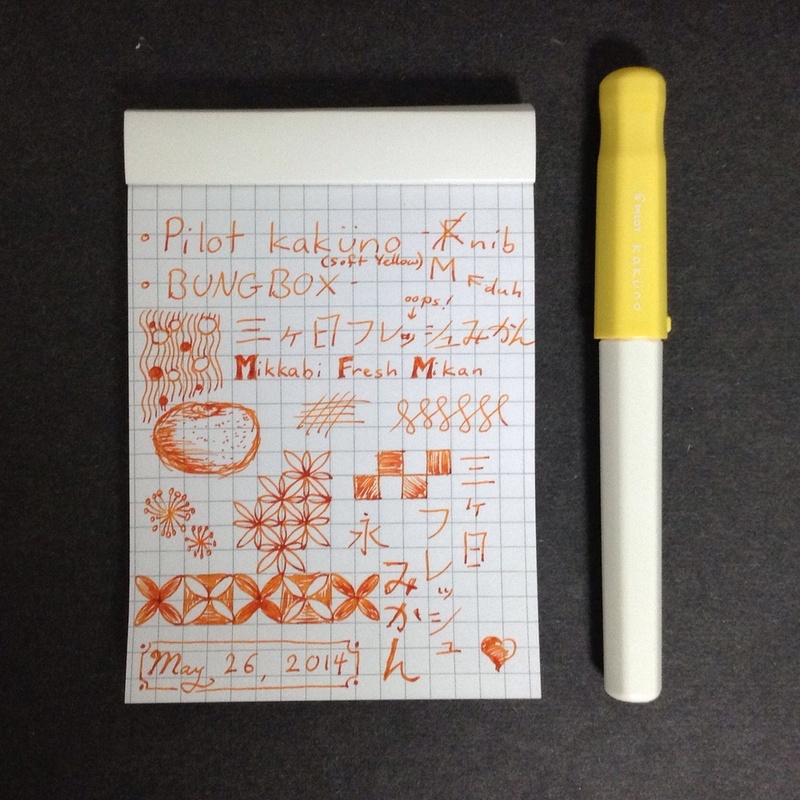 So, remember how I got a Rhodia ICE Number 12 and drew a page with mikan ink using my kakuno? 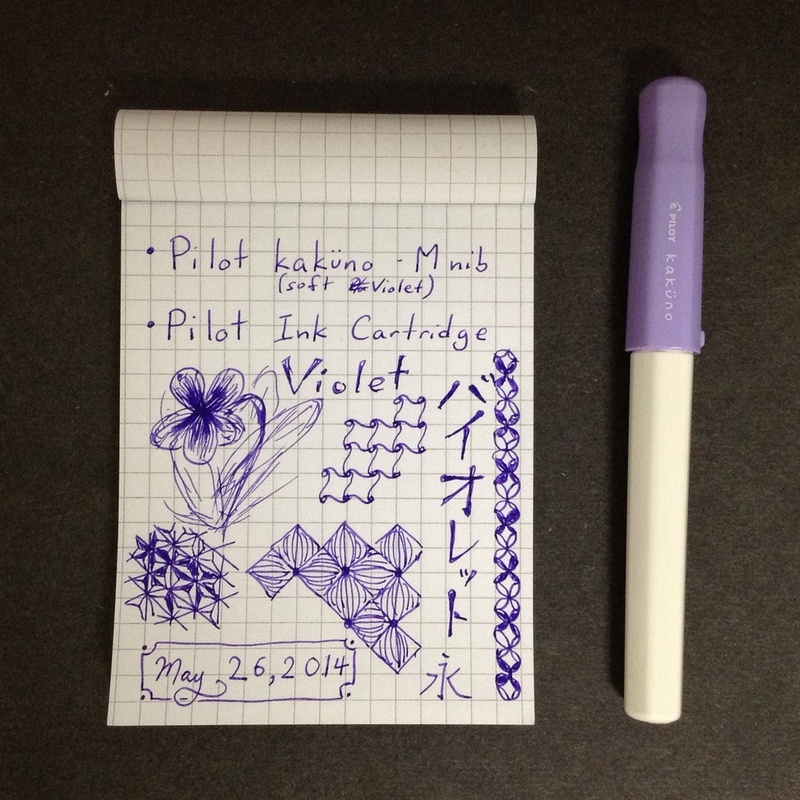 I emptied the black cartridge in my soft blue kakuno so I could fill it with a heavenly blue from the Pilot Iroshizuku series. And I am so happy with this ink in this pen. It is quite lovely. And now that my basic colors have been covered, hopefully my ink buying habit will take a break. I'm going to enjoy using them by sending out many many postcards and letters. My newly purchased Tsuyuhikari from Bungbox is named after a green tea from Omaezaki in Shizuoka, one of the major tea areas of Japan and it nails it. It looks just like fresh green tea (the tea leaf kind, not matcha). I put it in my new Pilot Prera, which I purchased with the intent of filling with many different inks. An M-nib because I do so love shading. I will be using this combination to write a lot of correspondence in the late spring and early summer. I stocked up on postcards in Kyoto for that same purpose. So much fun! The pink cartridge (finally) ran out in my Soft Pink kakuno, so I cleaned it, attached a converter, and filled it with my newly purchased L'Amant, a purple with pink original ink from Bungbox. It was a bit scratchy at first and I took a page of scribbling and doodling to get used to it, but now I'm quite taken by it. But as I thought about it, I realized L'Amant compliments a lot of my stationery well *because* it is outside of my regular choices. And while I would shy from buying a shade like it in a gel pen, I'm quite happy with this bottle of ink.